Sound is a music technology magazine. It is especially meant for all the music lovers. Most of the readers of the magazine fall under the music loving group of people. It is published in the UK. The magazine includes information on testing of products that is musical instruments before they are put up on stage for performances. It also includes important details on recording devices which are of great importance to sound engineers. During the printing of the magazine, it is done very carefully with the usage of lots of colors that makes it quite attractive for the readers. All these factors make it more popular among the consumers. 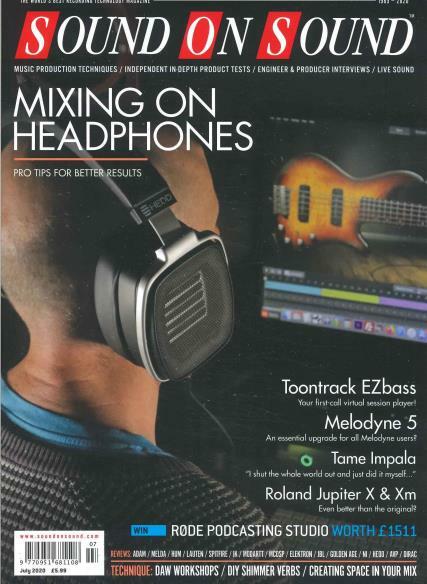 The magazine proves to be of great help for the students who are studying the subject of sound technology. It provides essential details to the technicians and helps them employ different types of technologies that could be of great help. The magazine is quite informative in its content. It provides the essential details that one may not have come across elsewhere.